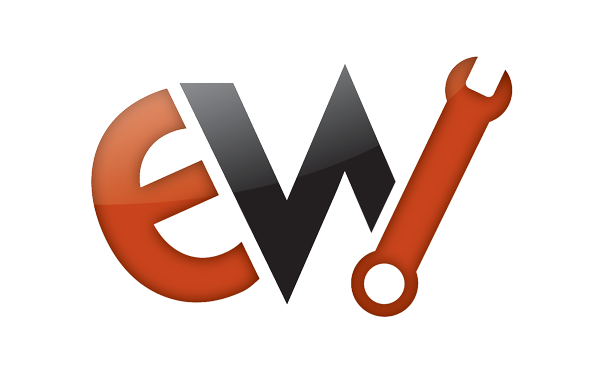 Logo and collateral for local mechanic's shop who specializes in European auto repair. 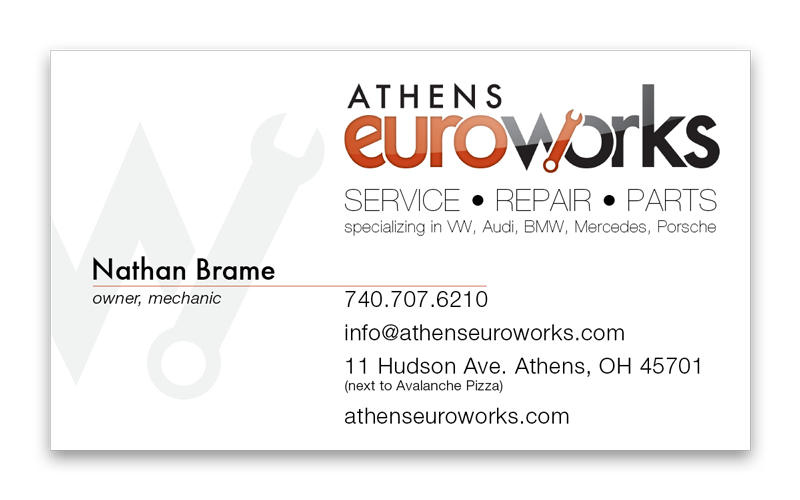 Logo and collateral made for a local European auto mechanic in Athens, Ohio. 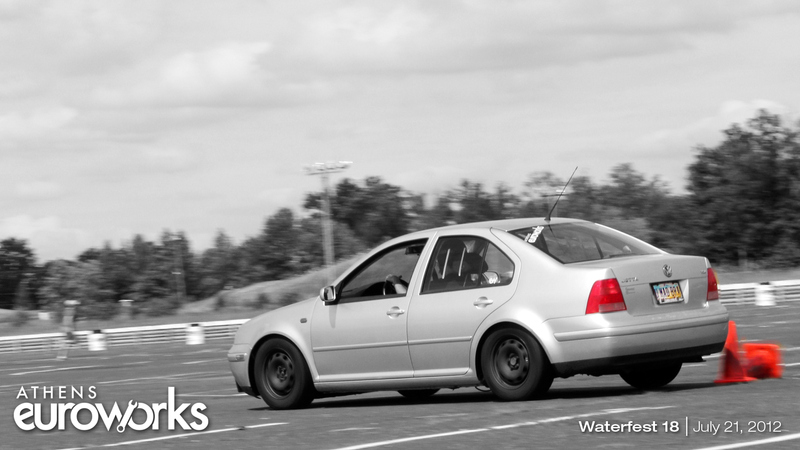 Final logo, black and white. 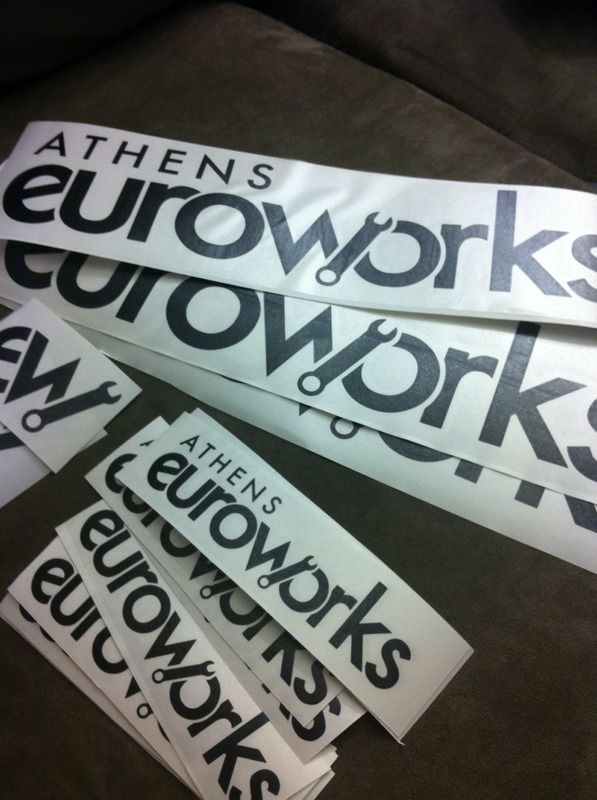 Vinyl decals for cutomer's vehicles.